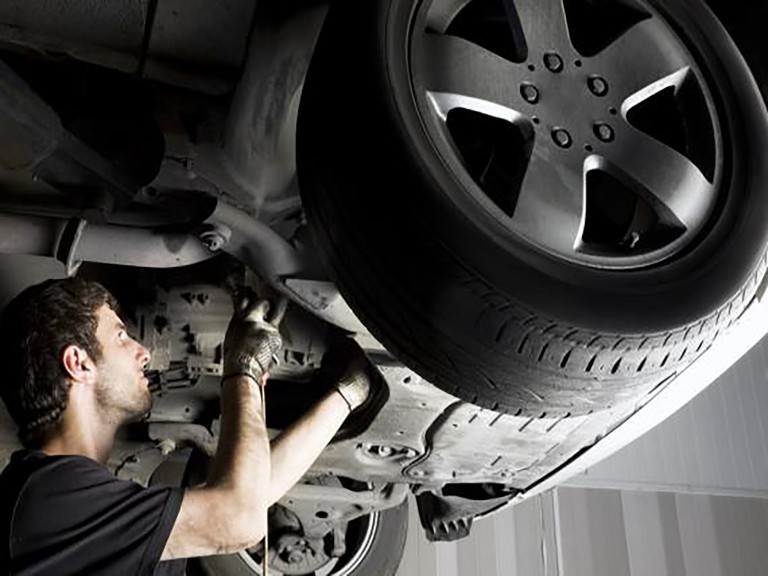 If your vehicle is three years or older, you will be due an MOT test within the next year. For those of you who are unaware, an MOT test is a detailed and thorough examination of your vehicle, which is a legal requirement and completed annually. The main objective of the MOT is to ensure your car is safe, roadworthy and to test the level of emissions that your exhaust is producing. There are a huge variety of garages/test centres that will carry out an MOT test within Taunton, which is why finding a reliable garage like A & M Car Sales who provide you with an honest and fair service is important and will prevent you from becoming a victim of poor repairs and over-priced repair bills. The first consideration when selecting the right MOT test centre is choosing a centre that is authorised to offer MOT tests. If the centre is authorised, it will display three white triangles encircled in blue. Avoid any centres who do not have this symbol on display, as you will be spending money on a test that is not recognised. Some local councils have authorised testing centres which are dedicated towards testing their council fleets. These test centres are unlikely to carry out repairs so do not gain by failing your vehicles MOT which is likely to put your mind at rest of being duped. However, if your vehicle was to fail you would need to find a reliable garage to repair the problems that have been specified in your MOT. This could possibly cost you more in terms of a retest fee and take extra time. When looking for the right MOT test centre some vehicle owners will go straight to the cheapest option, this is not advisable as although it may be cheap now, it may cost you more in the long term with future repair bills. At the same time, it isn’t recommended or wise to visit the most expensive centre. It is a good idea to find a garage with an affordable and clear pricing structure, whilst checking labour rates of the test centre and previous customer’s feedback of the garage [REVIEWS] as your vehicle may be in need of repairs and maintenance post MOT test. This will enable you to get back onto the road quickly and in an affordable way. With many MOT test centres in Taunton identical to one another in terms of prices and what they can promise you, word of mouth can be the perfect way to distinguish the garage you are going to be able to really trust carrying out your MOT. Customers who have used the garages services previously whether it is an MOT or repairs for their vehicle, can really give you an insight into the nature of the garage and whether you can trust them based on good or bad experiences other customers have had. Check out A & M Car Sales reviews and see the great comments that customers have left them! So, if you are in need of a MOT from a trustworthy and reliable garage then contact A & M Car Sales today as they offer a £45 test with a free re-test if your car was to fail!